When fashion meets jewellery, it’s a collaboration like no other. 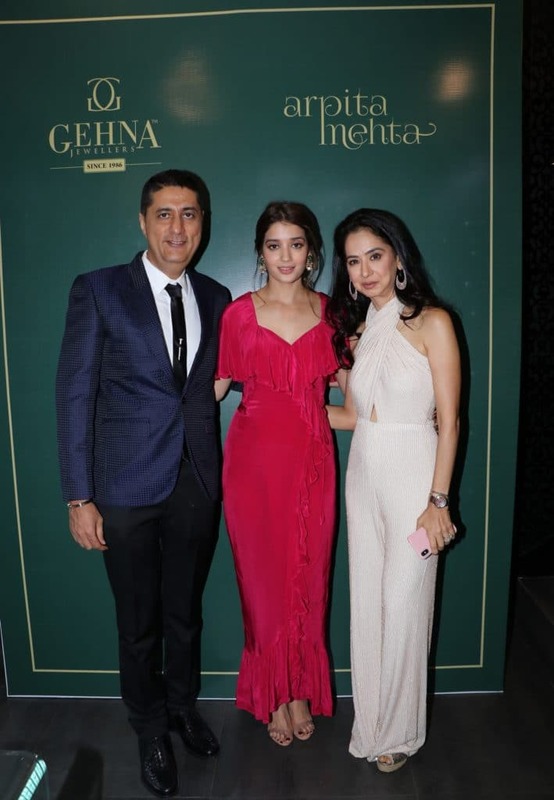 Precisely the reason why we are excited about the new Gehna Jewellers x Arpita Mehta collection – one that catapults new-age designer Mehta into the genre of fine jewellery for the very first time. The young, vibrant designer who is known for her refreshing designs and fluid silhouettes has now infused all these quirky and exciting ideas with a range of 26 exquisite pieces for Gehna Jewellers. Gehna Jewellers, on the other hand have held a legacy of skilled and unmatched craftsmanship with extraordinary finishing for the past 32 years. These two forces of nature, stalwarts in their own way have used the opportunity to come together for this one-of-a-kind collaboration and what we see is a beautiful, modern, yet minimalistic collection that millennials will love sporting. Being an ardent lover of jewellery, Arpita has always wanted to diversify and channel her creative juices into designing fine jewellery pieces and with a partner like Gehna Jewellers, the partnership has tried to push boundaries of style with stunning pieces that are perfect for a bride too. 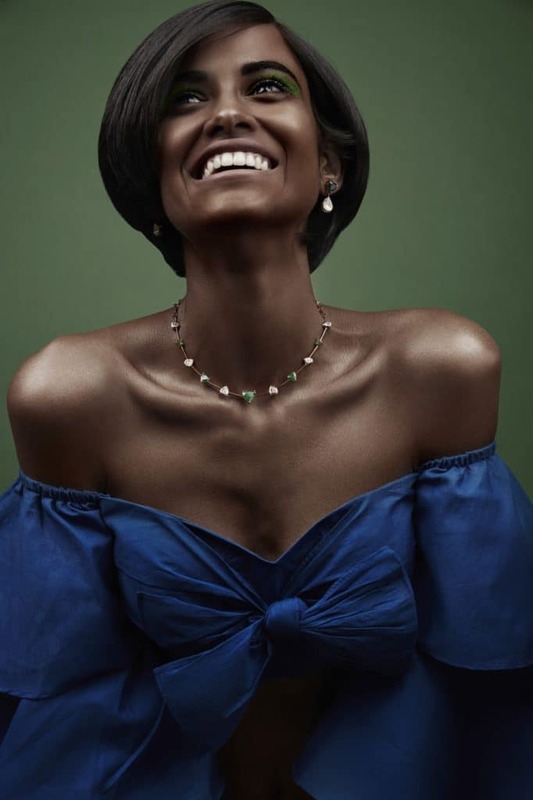 The exquisite collection of 26 fine jewellery pieces feature the designer’s all-time favorite gemstone, the sparkling emerald. With Deepika Padukone and Priyanka Chopra sporting the gem at their respective weddings, the emerald stone has become quite a popular gem in the last few years and adds instant aesthetic value. The entire collection is centered around this sparkling gemstone, angles and simple cocktail rings but you could also go OTT with voluminous festive favorites that come with jadau and polki additions – the big jhumkis for example or the waterfall chokers. One thing is for sure though – we loved the versatility of the pieces. They are dainty but layered, come with detachable additions, can be deconstructed to a cocktail party as well as for a wedding. There’s high quality and functionality – a combination that modern women love. 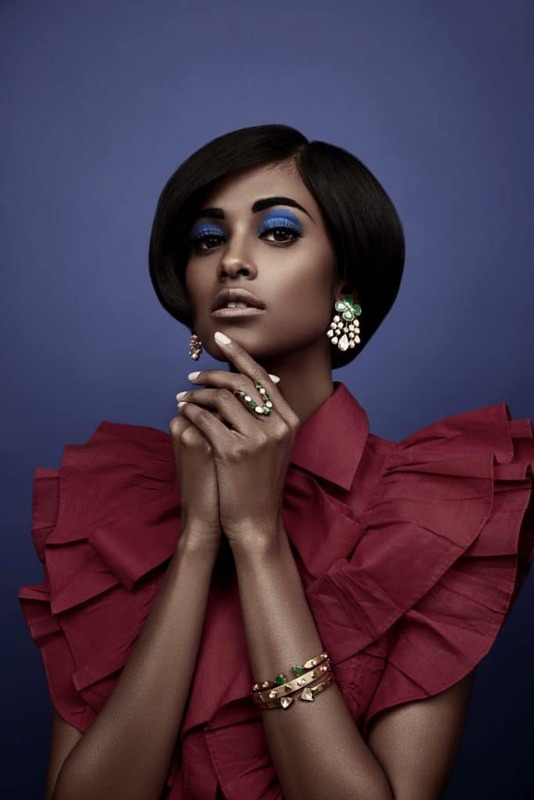 “The lighter jewellery will look beautiful stacked up, while the dressier pieces look lovely just by themselves since they are unique and standout designs,” explains Mehta. So we asked her about her new collaboration and her obsession with Zambian emeralds. Tell us a bit about the collaboration you have with Gehna Jewellers. Everytime I design any outfit, I visualise the perfect jewellery piece that can be used to enhance the entire look. I have always wanted to digress into designing a jewellery collection. The collaboration with Gehna Jewellers is my first jewellery collaboration and it has been a wonderful experience. Gehna has a legacy of around 33 years in the industry and I absolutely love their finish and aesthetic. Their take on modern sensibilities is the best thing about the brand. Gehna was the perfect match as they were open to experimenting which also made it easier to work together. 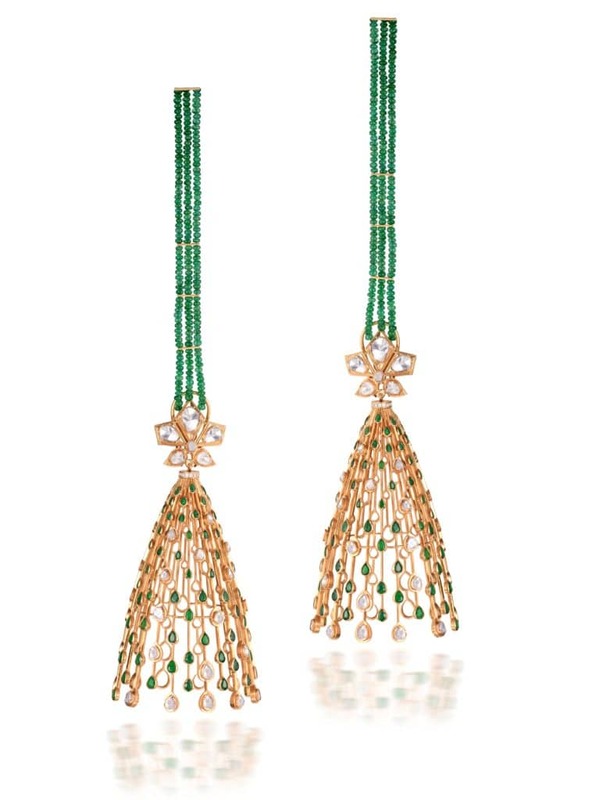 Fancy cut Zambian emeralds and polkis are the framework of this collection. It is designed for the new-age woman who demands high quality of all that she adorns, and seeks functionality with fashion. It’s the charm of minimalism used to create these contemporary wearable pieces. What are the current jewellery trends for brides? According to me, jewellery layering is quite a trend for brides. From chokers to layered heavy necklaces all can be worn in different lengths to create a stunning look. Jewellery you think every bride should have in her trousseau? I believe, an Indian bride should most definitely own a gorgeous polki set in gold. Pieces of jewellery that are versatile and stunning from the collection? 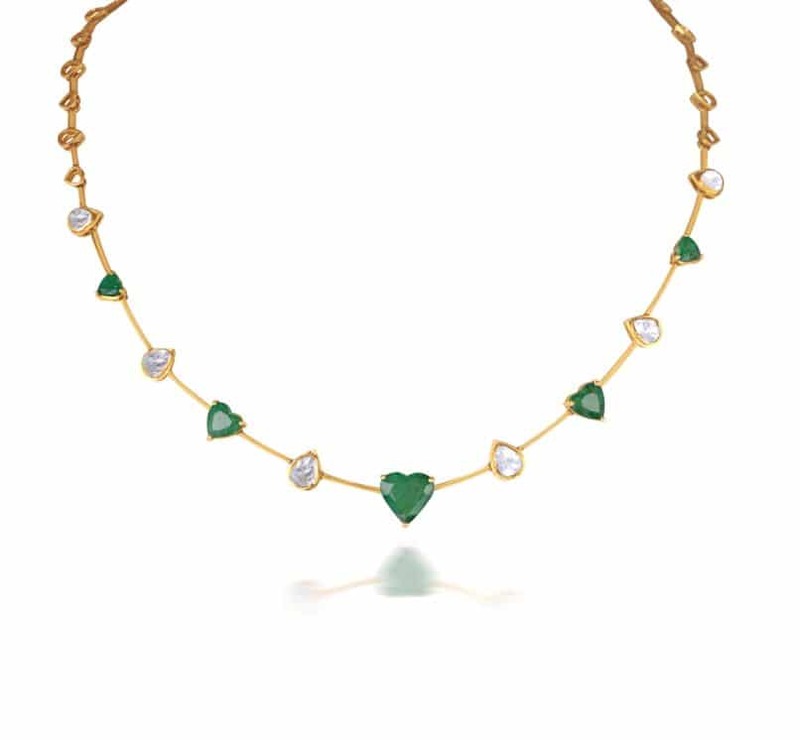 Our stackable bracelets and dainty necklaces with heart shaped emeralds are a must have from this collection. They are fresh and versatile as they can be worn on a daily basis. We have made sure to design pieces that are not just limited to be worn on special or festive occasions. What should one look for when buying bridal jewellery? Quality is a very important aspect to check when purchasing any bridal jewellery. You may buy a small piece but it should be brilliant! An earring trend you love? Chand balis are my all time favourite. A necklace trend you love? I love dainty layered necklaces with multiple pendants as they give you a really polished and chic look. Gemstones we should look out for when buying jewellery in 2019? Emeralds, Tourmaline and Yellow Sapphires – you must have them all. 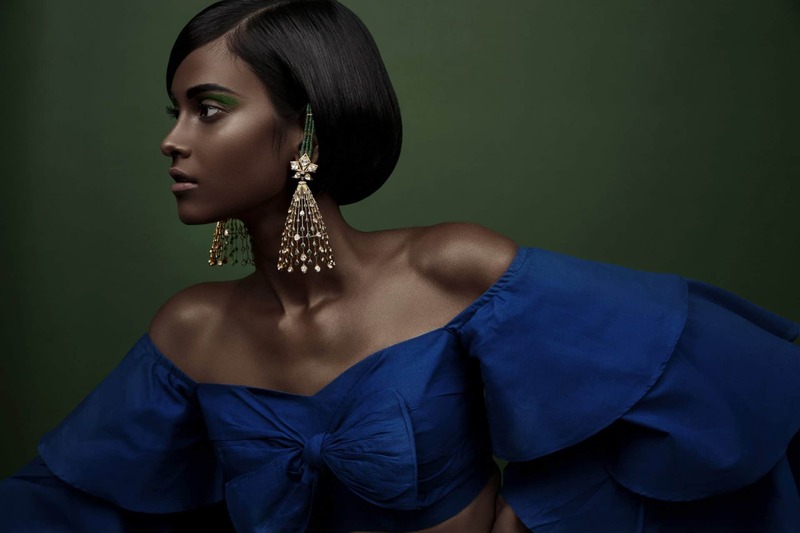 What's new in Sabyasachi's SS '19 collection Fiza? A piece of jewellery that stands the test of time? A solitaire ring. It is a classic and never goes out of fashion.